Image by: Cordell Ross Jr. It isn’t the cold weather that has spawned this piece gone fashion trend. Whether at a party or in the streets, streetwear masks are making it big worldwide. As an alternative to bandanas and scarves, this look has brought back the child in all of us. 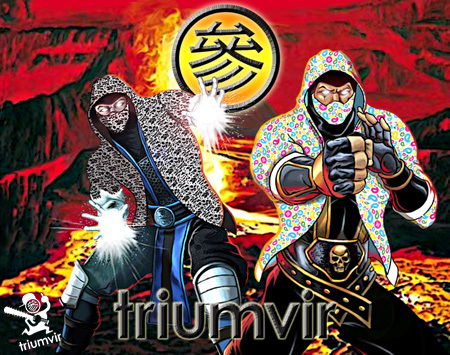 Back by popular demand is California’s up-start streetwear label, Triumvir3, with their Spring 2007 Collection, which includes hoodies with masks (which aren’t actually attached to the hoodie). 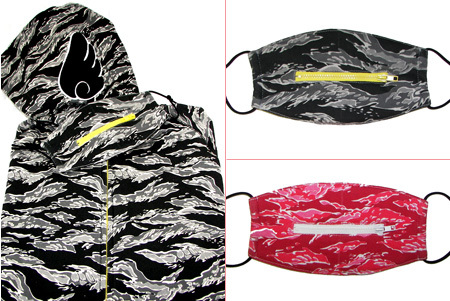 Instead, the Tiger 2.0 masks come as a completely separate piece which are colour coordinated with their hoodies. 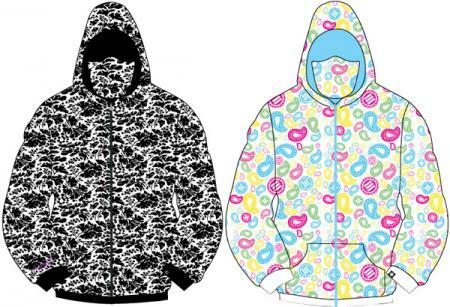 Another upcoming drop is the GRIM hood + jacket, also expected in 2007. And for those who missed out last year, donâ€™t forget to check out the Candyman and Stormshadow pieces. The Aviator Mask Zip-Up Hoodie brings everyone back to when we all wanted (at one point; don’t lie) to be ninjas. 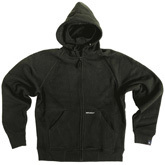 The interior of this hoodie includes an extended layer of cotton, which can be used to pull upward over your mouth and nose. These hoodies come in three colours: Navy Blue, Grey & Brown. 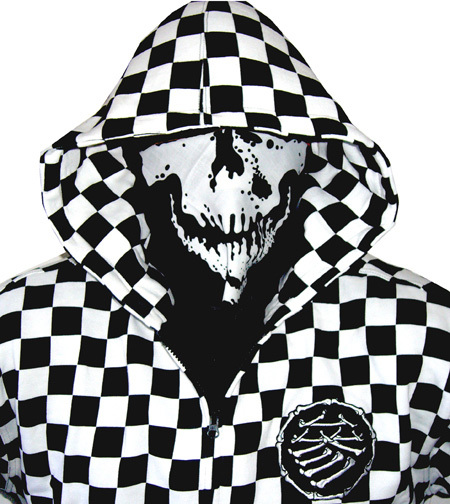 Making face with their clever zip-up (literally) hoodies, that create character, Bapes’ Chomper and Shark hoodies have been turning heads worldwide and have become the staple in a streetwear collection. Many inauthentic hoodies have been circulating stores, online, so if you’re surfing to do some shopping and assume that you’ll be copping one for a price under $900.00 USD, you’re getting ripped off. Expect to pay approximately between $400 – $900 for an original Bape Chomper hoodie, and between $500 – $2000 for an original Shark hoody. They don’t come cheap, but have been very popular with celebrities and musical artists worldwide (i.e. Kanye West, Pharrell etc. ).